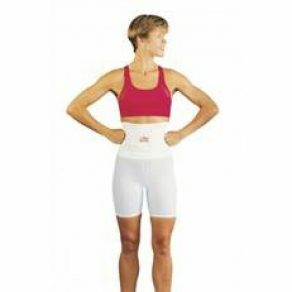 The S’port All Back Support supports the lower back and sacroiliac joints during vigorous activity. This is made possible by an innovative design that anchors the back support to an integrated athletic compression short. The S’port All Back Support is designed to stay in place. The patented design keeps it secure, even during the most active movement. From the gym to gardening to work the S’port All will stay securely at the height you adjust it to for comfortable support.